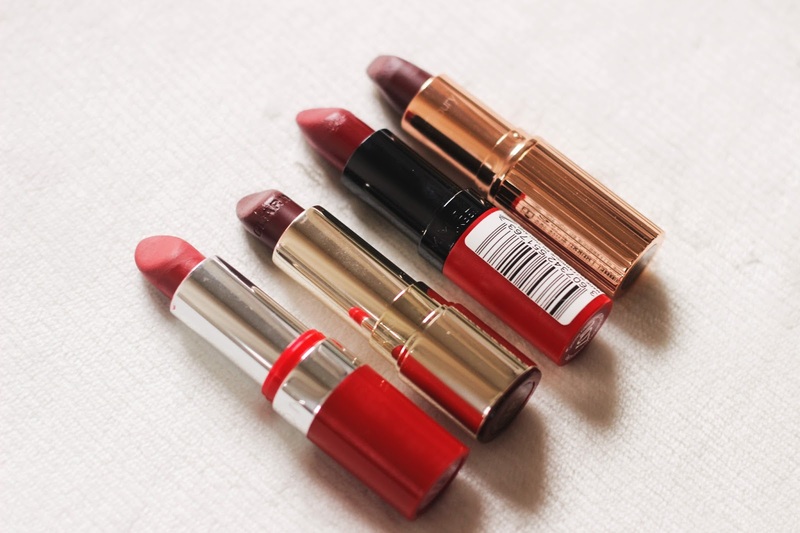 L to R: Charlotte Tilbury Glastonberry, AVON Ravishing Rose, Rimmel 107, Clarins Royal PlumIn Summer, I pretty much give up with a full face of make up and then when Autumn rolls around I’m all for a full face of make up, bold lipstick and all. I am a massive fan of berry shades (if you couldn’t tell already) and I make the most of these in Autumn. 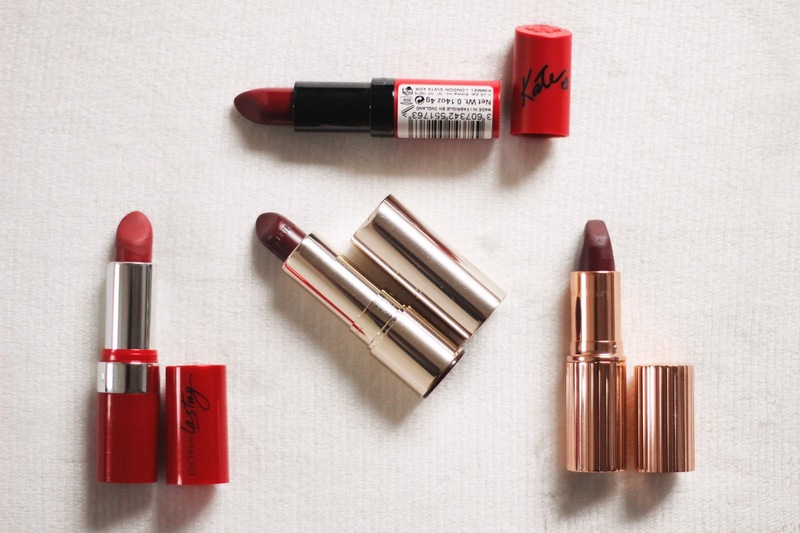 These are my favourite Autumn lipsticks and also the ones I have ready in my handbag to pop on at anytime. 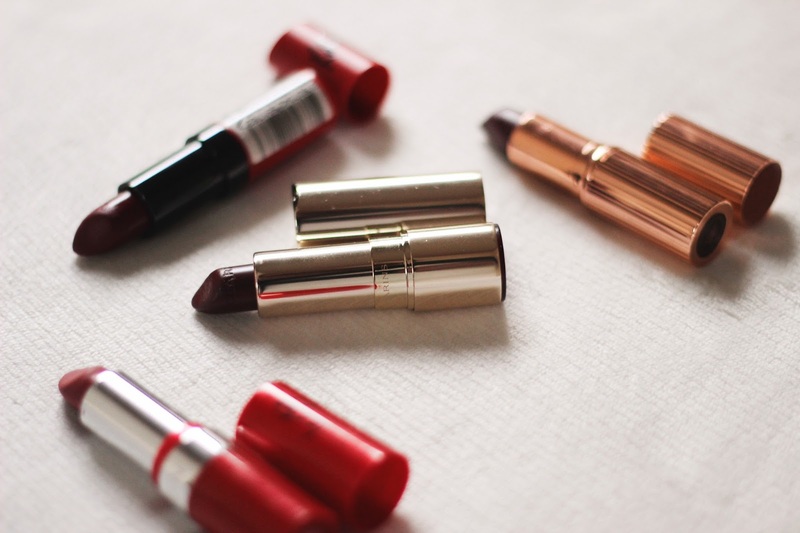 Charlotte Tilbury’s Matte Revolution lipstick in Glastonberry and Rimmel 107 are classic Autumn shades, I’m so looking forward to wearing them every day this Autumn. 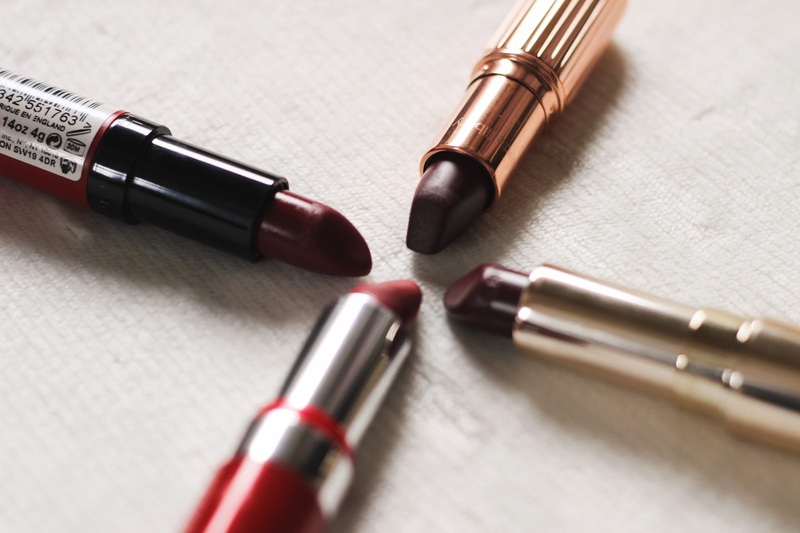 Clarins Royal Plum is a similar colour to Glastonberry but it has a sheen finish rather than a matte finish, for when I feel like changing things up a little. AVON Ravishing Rose is a slightly less bold shade for Autumn, but still has a berry tint to it. 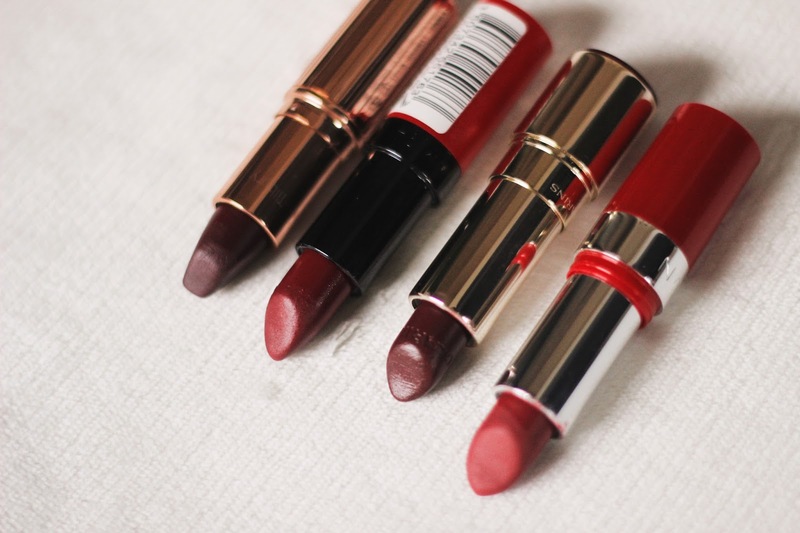 What are your favourite Autumn lipsticks?